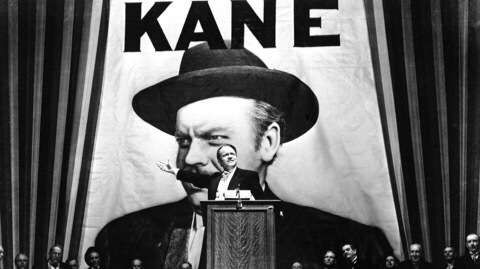 Watching Citizen Kane means that I also get to tick another film off the list of the IMDb Top 250 that I hadn’t yet seen when I started this blog. It’s ranked very high (although it has now dropped to 71 out of 250). It’s often considered the greatest film of all time by those smart film critic types. It was pathetic that I’m a so-called “movie blogger” but had never seen one of the most revered classics of all time (which is why I finally put it on my Blind Spot list). Well, I’ve seen it now…. Damn. This is one of those times that I really don’t feel like doing a review. I’m not a film student. 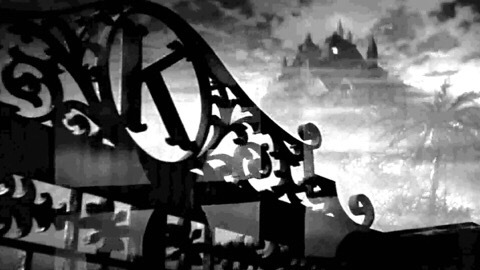 Yes, Citizen Kane is a great film and I know that a lot of that will have to do with filmmaking techniques that I know nothing about since I’m an uneducated heathen who likes movies but is usually happier when watching Star Wars instead of On The Waterfront. Speaking of which, I had a hell of a time while trying to “review” that Top 250 classic as well. Actually, I’ve just re-read what I wrote about On The Waterfront and I had more to say than I remembered. Can I just copy & paste that review here as a lot of it applies to Citizen Kane too?? No, that’s not quite true. 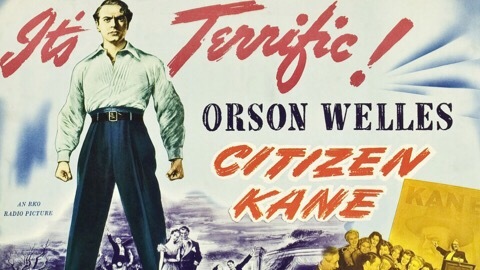 I liked Citizen Kane much more but I just didn’t quite connect with either film. I’ve discovered with these worthy classics that I far prefer the grand, sweeping epics to the gritty dramas with Oscar-winning acting. Give me a gorgeous Sergio Leone film with a Morricone score instead of Brando & his pigeons. 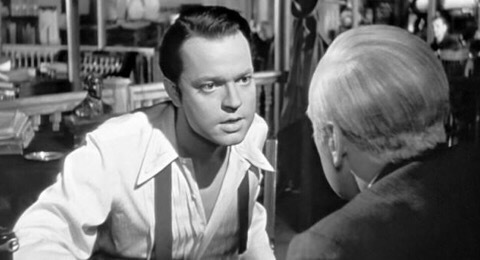 Citizen Kane is somewhere in the middle – it has the gritty drama but it’s also epic in its telling of this character’s life story. I love a story spanning an entire lifetime and I did enjoy this movie. It’s a great film. It’s a classic. But I didn’t connect with it as much as I was hoping I would. I’m sorry! Okay – I’ve actually just taken a break to add images into this post. Wow. They’re stunning. Those are some great shots! They remind me of Fritz Lang’s M, another great film. Is that why this movie is so popular? Huh. Yeah, I admit it – I should probably watch this movie again. Someday. Maybe it’ll grow on me. 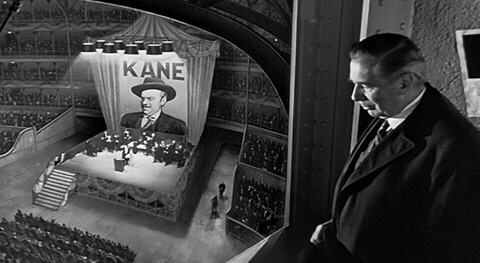 I briefly discussed Citizen Kane with a friend and how I really didn’t feel like reviewing it. Believe it or not, I’m a person of few words in real life and, when talking about a movie, I’ll often just say “Yeah, it was good” or “It sucked!”. Citizen Kane got three sentences out of me & my friend pointed out that it worked as a haiku. I was a bit bored. it was the damn sled. By the way, Enter The Dragon was f*%king awesome! I’ll review that next month and will maybe put a tiny bit of effort into that post. Maybe. 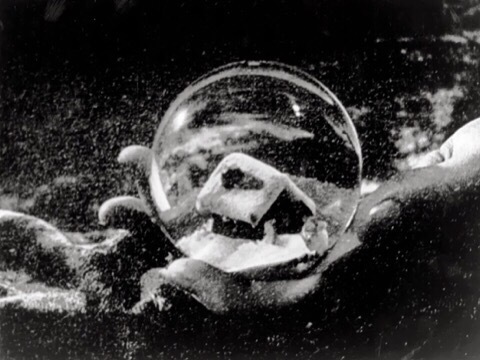 For now, here’s my rating for Citizen Kane. It deserves much higher. 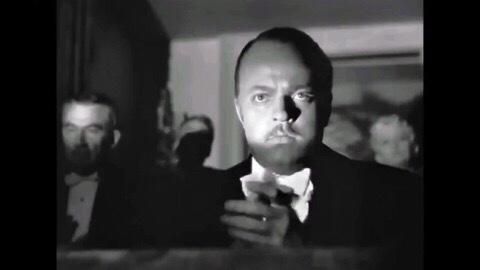 **Okay – since this was one of my worst attempts at a review EVER (although I’ve certainly had worse), here are links to bloggers I follow who have written about Citizen Kane. I couldn’t find many! If you’ve reviewed the movie, let me know and I’ll happily add you to the below list. tnx for the shout out! I think u did a great job wrting a CK review without talking abt the film at all. 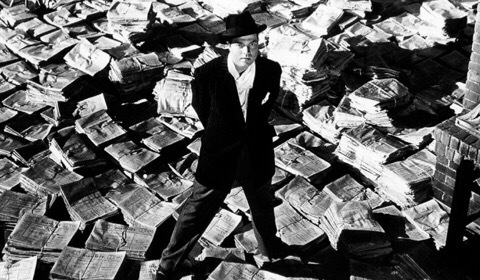 I haven’t watched Citizen Kane since I reviewed it all those years ago, but I liked it a lot back then. It almost surprised me how much I enjoyed it, actually, because there are plenty of other critically-acclaimed classics that I haven’t ‘got’.